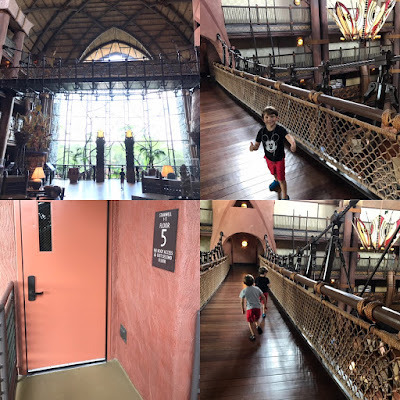 Guests can step into the heart of Africa at the magnificent Walt Disney World deluxe resort, Disney's Animal Kingdom Lodge in Orlando, Florida. Its horseshoe-curved design provides spectacular views of four lush savannas that over 200 hoofed animals and birds call home including zebras, giraffes, gazelles, kudu and flamingos. 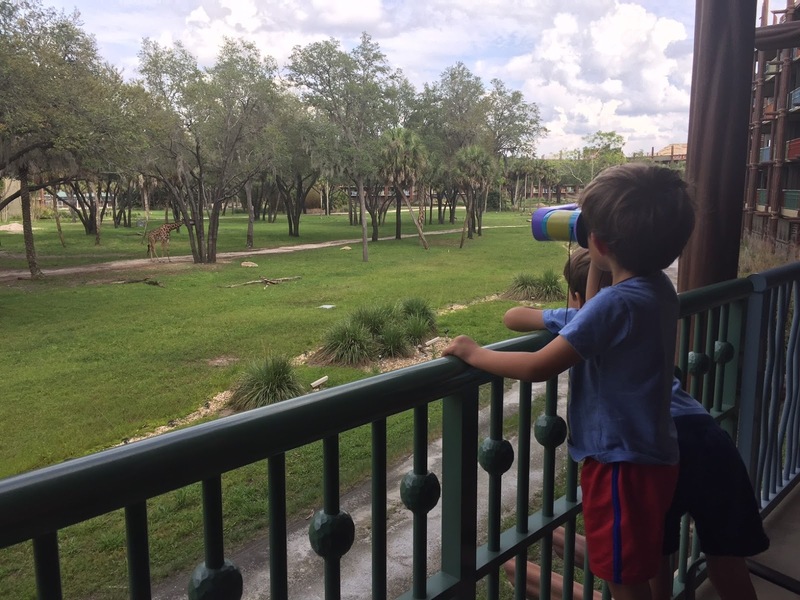 Families can experience an African safari adventure with a touch of Disney magic right from their hotel room. As expected, it's pure magic staying at Disney's Animal Kingdom Lodge. I've always wanted to go and finally my boys and I stayed at the infamous hotel. 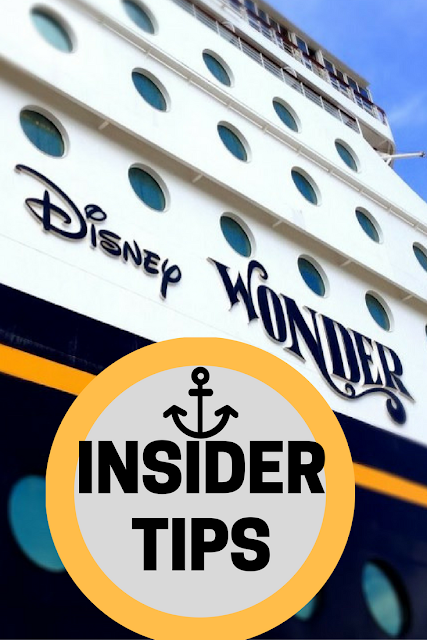 Here are some VIP tips to making your stay even more magical. Savanna View guest room balcony - pack binoculars! 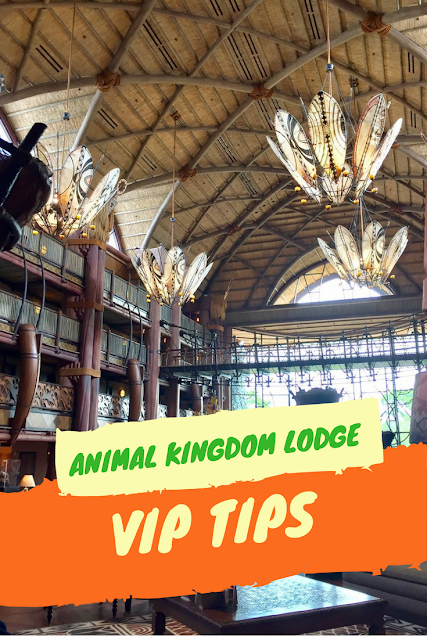 Pick the Village that's Best for You - Disney's Animal Kingdom Lodge has two villages, Kidani and Jamba House (the main resort). The main lodge has a larger lobby and more activities and dining options, but it's also more crowded. At first, I was bummed we weren't at Jamba House, but soon welcomed the more peaceful Kidani side more. Plus, as a hotel guest, you can easily access both villages via a free shuttle van, which we never had to wait more than five minutes for. Savanna View Rooms Are Amazing, but Optional- If you're able to reserve and pay the extra cost for a Savanna View Room with private balconies overlooking exotic animals, definitely go for it. Partial View rooms still have balconies and impressive views, just less animal variety. However, you don’t need a Savanna View room to enjoy the up-close animal sightings. There are several areas on the resort and near the lobby where you can view animals. Plus, rocking chairs on the porch lookout areas, which is often better for picture taking. 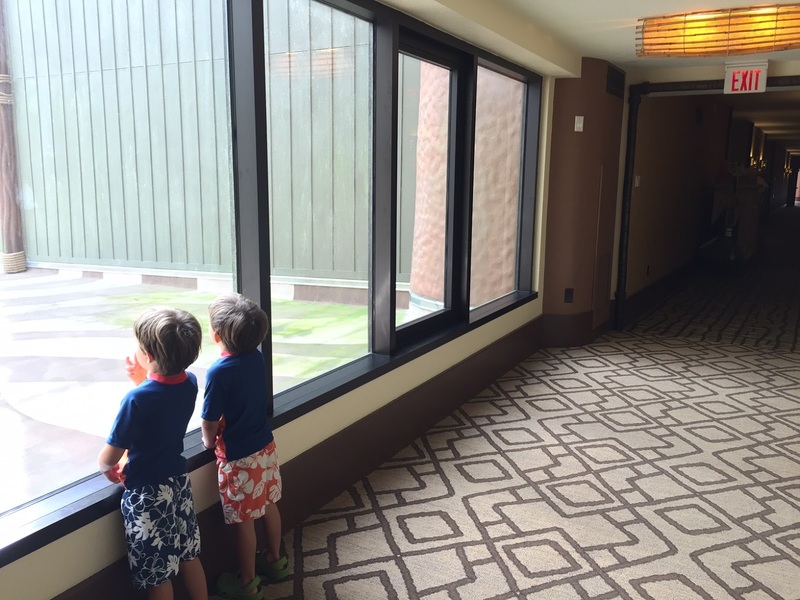 There are also several floor-to-ceiling windows in the hallways leading to all the guest rooms. My kids had to stop at nearly all of them! Jamba House also has a flamingo area near the pool right there for your viewing pleasure. 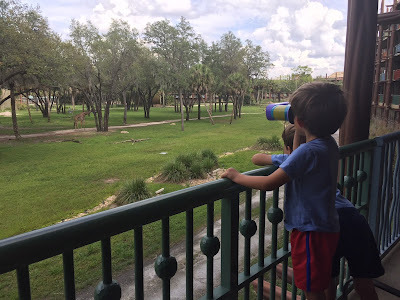 Pack kid binoculars to make spotting the animals outside the hotel even more interactive. Although most of the animals can be viewed easily without them, my kids enjoyed feeling like actual explorers. We ordered GeoSafari Kidnoculars, which are reasonably priced and easy for toddlers to use too. You may also want to back a more sophisticated, grown-up pair for the adults in the room too - binoculars for adults. Take in the animals at night too! - It might be time to go to sleep, but that's also when the more nocturnal animals come out. Luckily, the Savannas are given a moonlight glow for evening observing too. 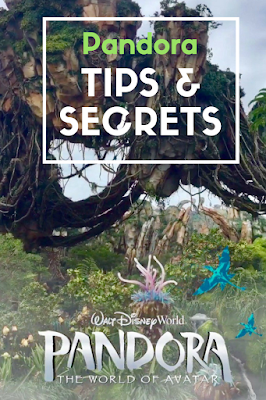 Look for hidden Simbas - Disney fans are trained to look for hidden Mickey's throughout the parks and resorts, but here be sure and keep your eye out for hidden Simbas too! We spotted one on our headboard and in the tile of our bathroom. 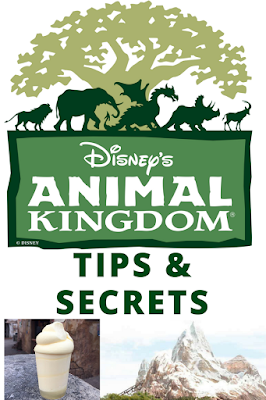 Dine with an Animal Specialist while enjoying a 4-course lunch at Sanaa restaurant in Kidani Village. Take the Wanyama Safari private tour, where you can explore the savanna at the lodge and enjoy a fine dining, multi-course meal at Jiko, and even roast marshmallows when the sun goes down at the Jambo House Campfire! This experience features a ride in a rugged safari vehicle over an open savanna. Available for $209 per Guest. 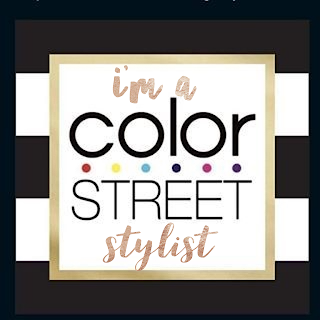 Be sure to reserve this popular experience in advance—up to 180 days prior to your visit! Guests must be 10 years of age and older to participate in the Wanyama Safari and Dinner though. Eat and Sip Wine at Jiko’s. The food is spectacular and their wine list is one of the best at Disney. Boma - Flavors of Africa Breakfast - A must family-friendly breakfast buffet. Instead of Mickey Waffles they have Simba and Nala character waffles for the kids or kid at heart. 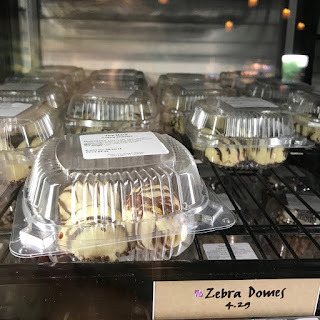 Eat a Zebra Dome - This is the must order treat at Animal Kingdom Lodge. Available in the buffet restaurant Boma, this mini African desert is a combination of espresso, Amarula Liquor cake, and white chocolate ganache all rolled into one ball. You can eat as many as you want any night of the week. Just high-tail it over to the dessert table! You can also find these treats in the refrigerated cases at The Mara (cafe in the Animal Kingdom Lodge) in a pack of four. For more dining tips, watch Eat This! Disney World's Animal Kingdom Lodge dining guide from The Disney Food Blog. 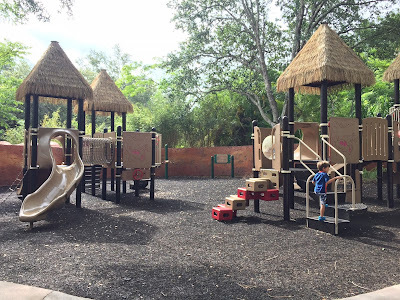 Simba's Clubhouse - Jamba House has a Supervised Children’s Activity Center for kids 3 to 12 years of age (must be potty trained though) where kids can have fun while parents enjoy an evening to themselves. Be sure and book the kids camp ahead of time by calling (407) 939-3463 or the Front Desk Concierge for additional information. The center is only open in the evening and an hourly rate of $15 is charged per child, with a 2-hour minimum. We made a reservation for our four-year-old boys just two weeks in advance and luckily they had availability. To prepare our boys, we told them all about it ahead of time, so by the time we arrived they were eagerly looking forward to their kids night out. A kid-friendly dinner is included, so they ate there, played with trains and toys and watched Disney films. Keep in mind, you do not need to be staying at AK Lodge for your child to attend, but of course, it makes it that much more convenient. Pools and Playgrounds - If you're with the kids, they can have fun visiting both sides for different kid-friendly areas to experience. Jamba House a large outdoor playground called Hakuna Matata Playground with two play structures -- one for younger kids and one for older kids. They also have an indoor arcade room. 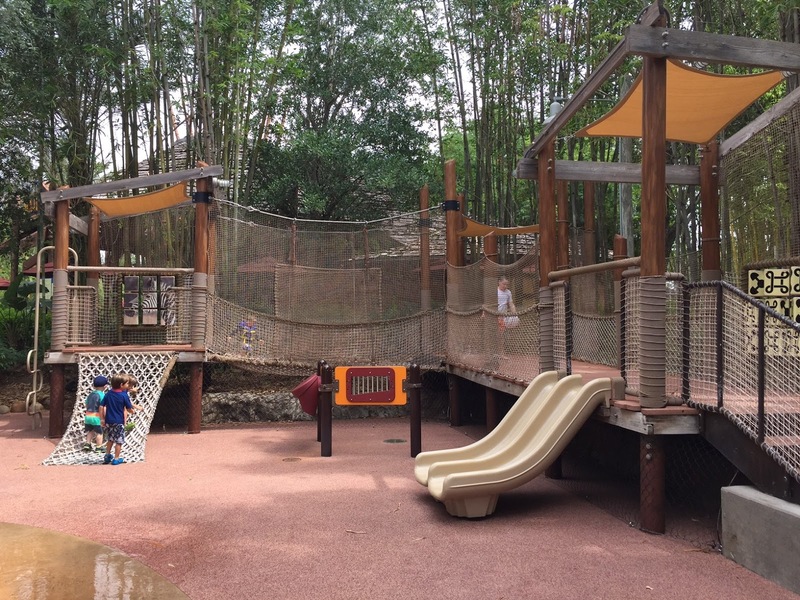 Meanwhile, Kidani has a fun outdoor water play area with a splash pad, ropes area, water guns, slides and more. Both pools have water slides though, but Kidani has several. You can easily spend the day going to both pools and play areas without having to even go to the park, or at least we did. Grab a schedule from the front desk for a list of activities happening each day including which films are playing in their Movies Under the Stars by the Uzima Pool at night and gather ‘round as the sun goes down for a complimentary marshmallow roast by a crackling fire. Take in the authentic art - The lodge boasts one of the largest collections of African art in the United States. 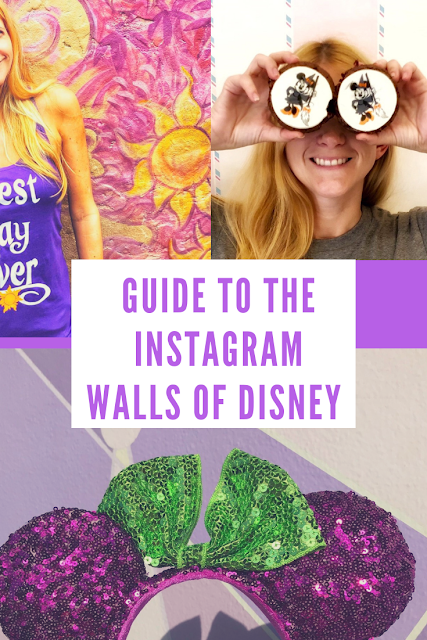 I made the mistake of assuming the art in the hallways were just themed decoration, not authentic, however, both sections of Disney’s Animal Kingdom Lodge can be considered mini art galleries. There are some amazing artifacts to be found throughout the Resort, so don’t be afraid to explore, and ask a Cast Member about the stories behind the art. Great Lobby Photos - Head up two floors to the 5th floor and you can walk across the fun bridge that overlooks the lobby for some photo taking. Plus, kids really like it too. These tips are so useful. My kid would love to spend time in that Hakuna Matata Playground.